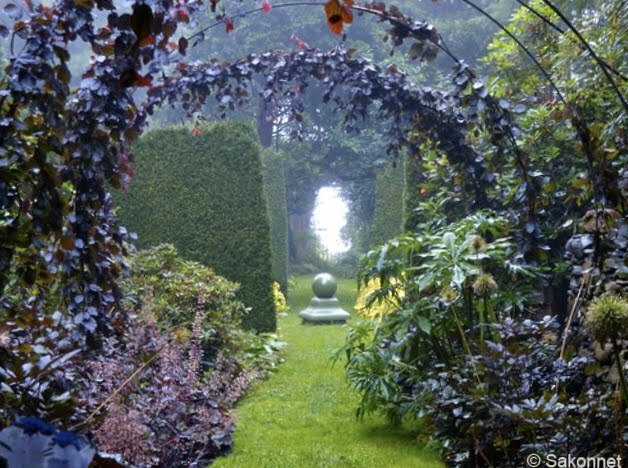 John Gwynne and Mikel Folcarelli have a wonderfully inventive garden in Rhode Island. We did a story on their approximately one-acre coastal garden at House and Garden some years ago. It's divided into rooms that show off their decades of avid plant collecting and inspiring experiments with color and form. 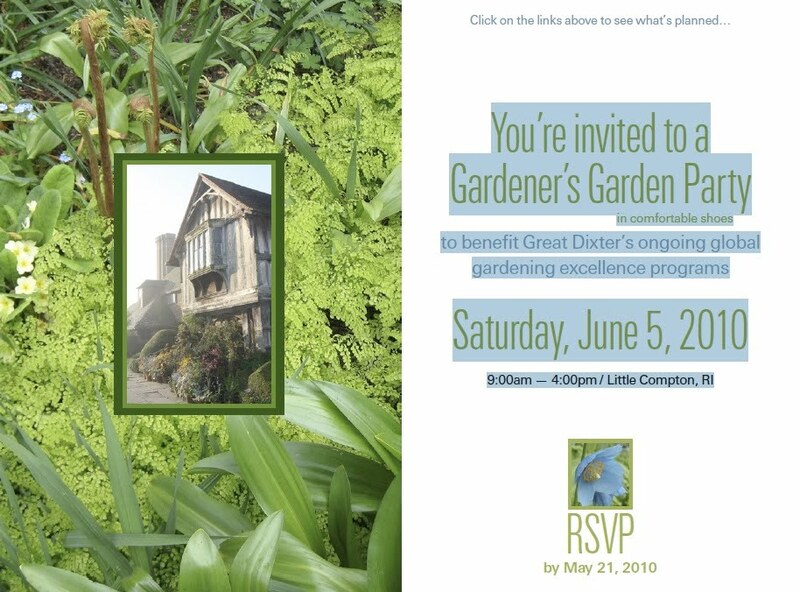 John has let me know that they are having a benefit in the garden for Great Dixter on June 5th. 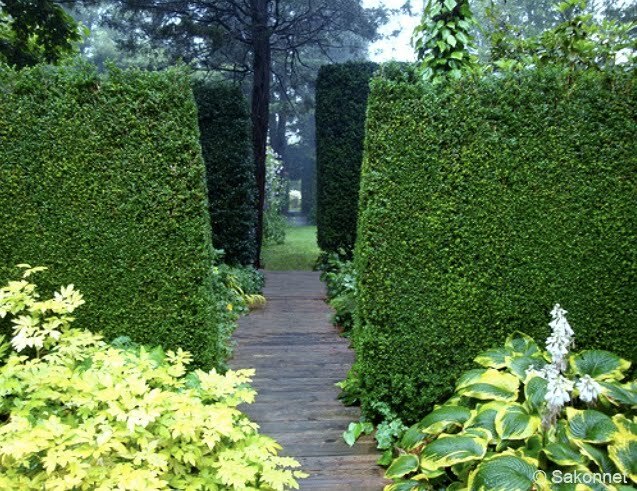 I highly recommend it if you can make to this beautiful corner of the world and the chance to meet these charismatic gardeners and their special guests: Aaron Bertelsen from Great Dixter and Ed Bowen from Opus Nursery in Little Compton, RI. Visit their website here. 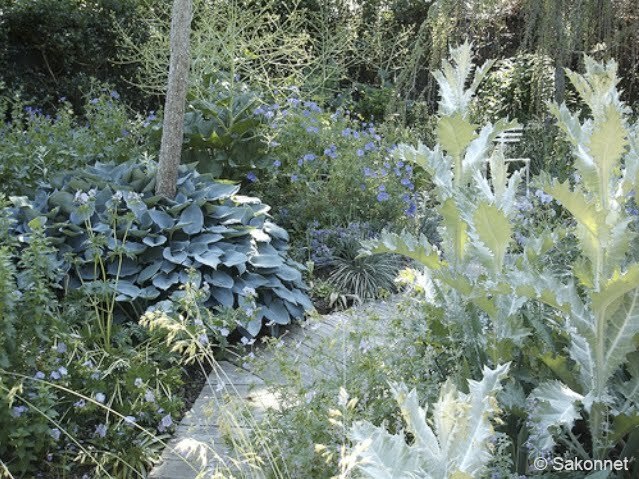 Or download a pdf about the Great Dixter event here. 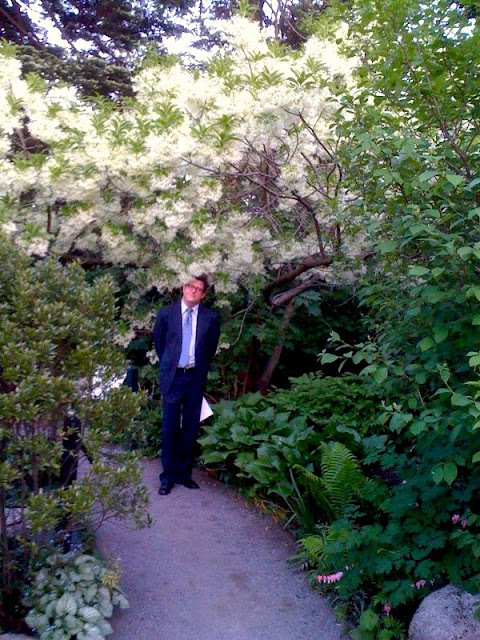 My friend Lindsey and I came across this big beautiful Chinese fringetree (Chionanthus retusus) after a party this week at The New York Botanical Garden. This amazingly fragrant tree blooms in mid-spring and fills the air with the smell of sweet almonds and honey for a fair distance. 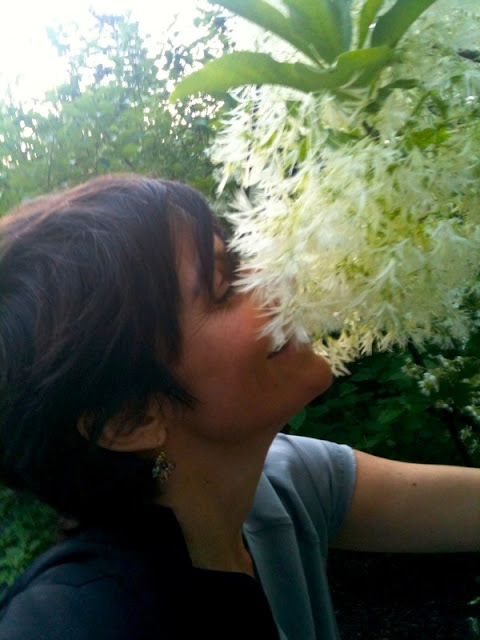 The flowers look like white feathers (or indeed flapper fringe) and hang off the branches in tiered clouds. You can see that we are both happy to be communing with it. You can buy seedlings of this species of fringetree by mail-order at Forestfarm.